*This site is FABULOUS! Your child can watch amazing videos in French - super interactive! This site requires a parent to sign up with his/her email. Click on where you see "S'inscire" - next, click on the button to the left that says you are a "parent" NOT a "enseignante" - or teacher. 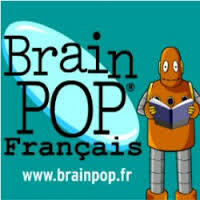 You can then have your child listen to MANY free French books with pictures - it is AWESOME!! Barbie France lets you "Jouer (play)", "Videos (watch videos)", and do many more things! It is a great site to let your child play and learn vocabulary! Hugo is a great place to draw, listen to French songs and other activities, all in French! 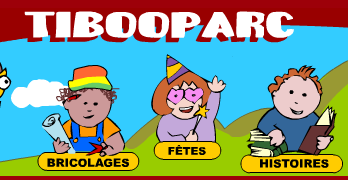 TIBOO Parc is a fun French site with easy puzzles and more! This youtube site "Mode des Petits" has a bunch of great French songs with lyrics written in French underneath. This is only one link, but if you look to the right side in Youtube, you'll see many more they create! Practice French vocabulary on PBS Kids with Caillou in French! FrenchGames.net offers a great variety of topics to to practice and play games with! Practice tons of games in French about Christmas!